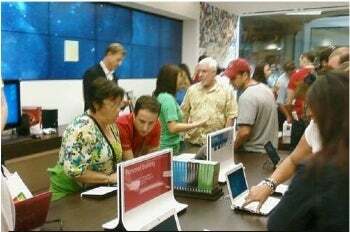 Strategically timed to debut with the launch of Windows 7, the first Microsoft Store opened its doors Tuesday in Scottsdale, Arizona. The carefully orchestrated media event, complete with a ribbon-cutting ceremony, a line of eager, cheering customers, and enthusiastic, high-fiving employees, took place at the Scottsdale Fashion Square mall. 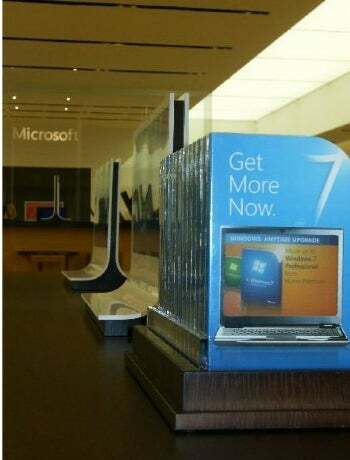 The Microsoft Store mimics the spartan, minimalistic style of the Apple Store, albeit with a few unique touches. 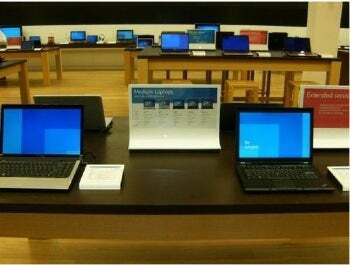 A video display wraps around the interior walls, and laptops of all sizes dominate the display tables. As you'd expect, Windows 7 gets plenty of love too. Pop star Ashley Tisdale dropped by. But does she own a Zune HD? 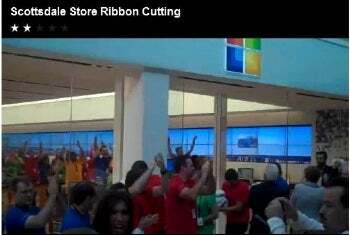 Microsoft's commitment to a brick-and-mortar strategy remains unclear. CEO Steve Ballmer has said that the company plans to take things slowly: open a few stores; see what works; and decide where to go from there. One question is whether the Microsoft Stores can attract the kind of traffic (and sales) that Apple generates with its retail locations. Microsoft may have an enormous installed base of users, but it lacks the customer loyalty that Apple has cultivated among its flock. And the physical appear of the Microsoft Store--too similar to the Apple Store, in my opinion--won't earn Redmond any points for originality. Maybe a pop star a week will help. What's Hillary Duff's number?